The traditional cuisine of Okinawa was developed during the Great Trade era of the 14th century through 16th century in the Ryukyu Kingdom to cater to Chinese envoys dispatched by the Chinese emperor, and it has since continued to evolve with influences from Japan and China among other Asian countries. The dishes are devised to be nutritionally balanced, combining the essence of ingredients rich in vitamins, such as bitter gourd and loofah, with pork that has been carefully prepared to break up the fat over a long period of time. 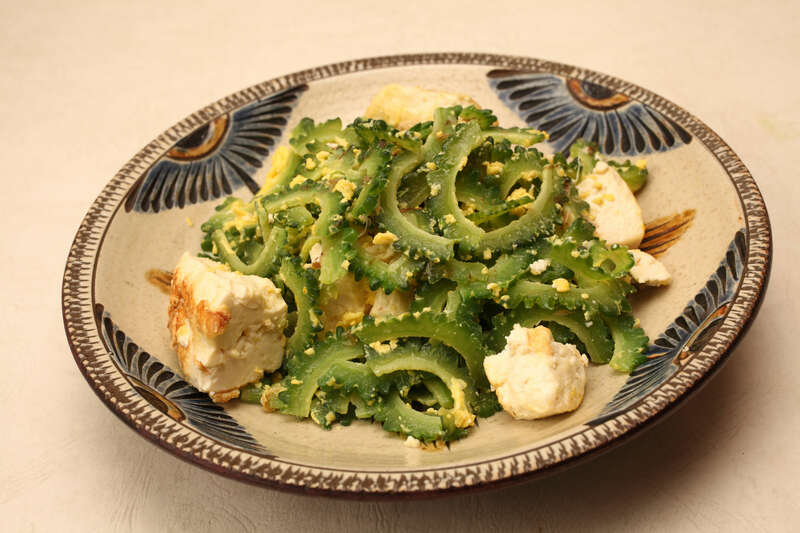 The wisdom of ancestors who ate well and lived healthy lives remain in spirit in the traditional cuisine of Okinawa. After the war, American food culture, represented in the “”canned pork,”” made its way into the diet and continues to be cherished to this day. Okinawan food culture openly accepted the influences brought upon by the changing times and is today a unique food culture that has created a variety of dishes. Okinawans are known to use every part the pig for cooking; in fact, there is even a saying that goes, “everything but its cry is eaten.” The most common cooking method is to stew it over an extended period of time, and it is traditionally prepared by boiling it for long hours to break down the fat for a healthy meal. In recent years, the black pig known as “Agu,” a native species of Ryukyu, is increasingly becoming popular. Okinawa soba uses noodles made with 100% flour and contains no buckwheat. The color, thickness, and crimp of the noodles vary by region. 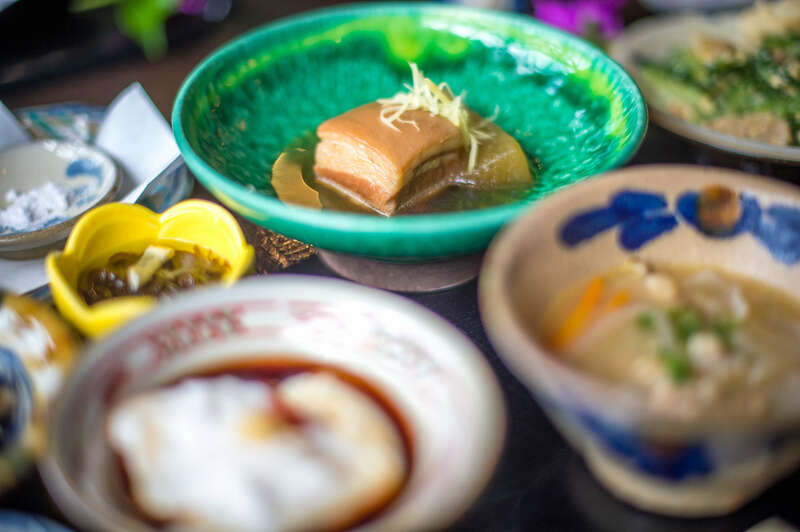 The soup is made with a combination of pig bone and bonito stock, seasoned with salt, and the dish is served with a variation of toppings including pork rib, soki, and stir-fried vegetables. 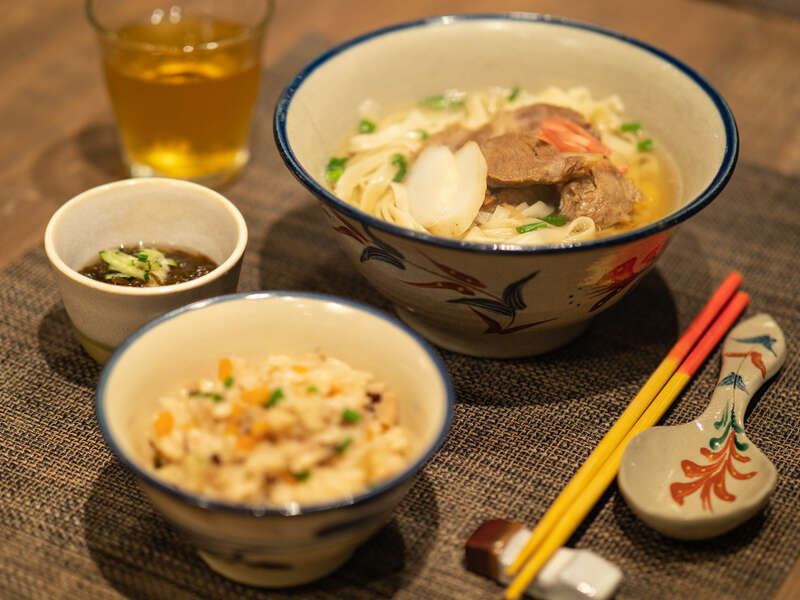 There is even data that suggests 150 thousand to 160 thousand meals of Okinawa soba are consumed every day, and it is no exaggeration to say that it is soul food for the people of Okinawa. Awamori is the popular choice when it comes to liquor in Okinawa. It is the traditional spirit that dates back to the dynastic era, made by adding water and yeast to rice malt made with kurokoji mold and steamed rice (mostly Thai rice) and letting it ferment. Awamori aged for more than three years is called koshu (kusu), and the longer the storage years, the more it matures and the more enjoyable the rich aroma and mellow, deep flavor become. 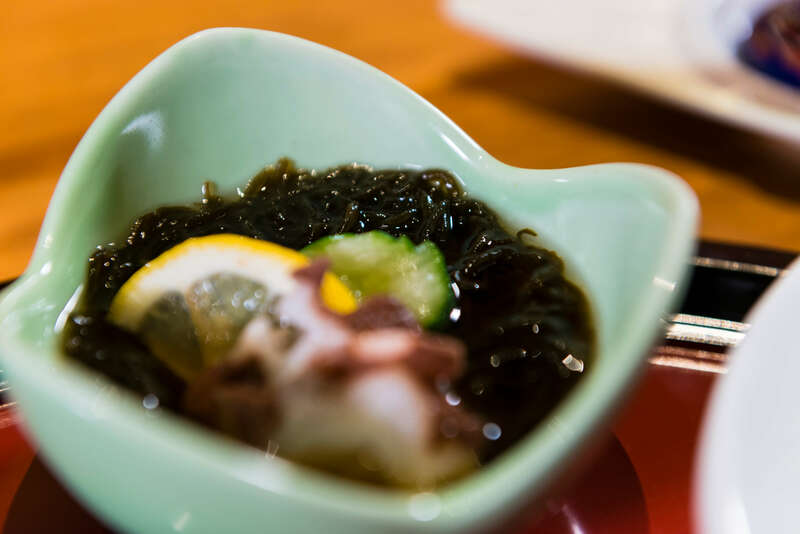 We want you to enjoy it with an assortment of Okinawan dishes. Champuru means to mix and combine in the local dialect, and it refers to stir-fried dishes that mainly consist of vegetables but also a number of other ingredients such as shima tofu and pork. There are different kinds of champuru, from the Okinawa classic of goya champuru to tofu champuru and somen champuru among many others. There are numerous restaurants that serve champuru, so it is easy to find. Okinawa being surrounded by seas of coral, truly colorful fish line the markets. The most recommended among the rich selection of seafood is the tuna. In the waters around Okinawa, tuna fishing is a thriving industry, and the catch is high quality and ranks third in Japan in terms of quantity. 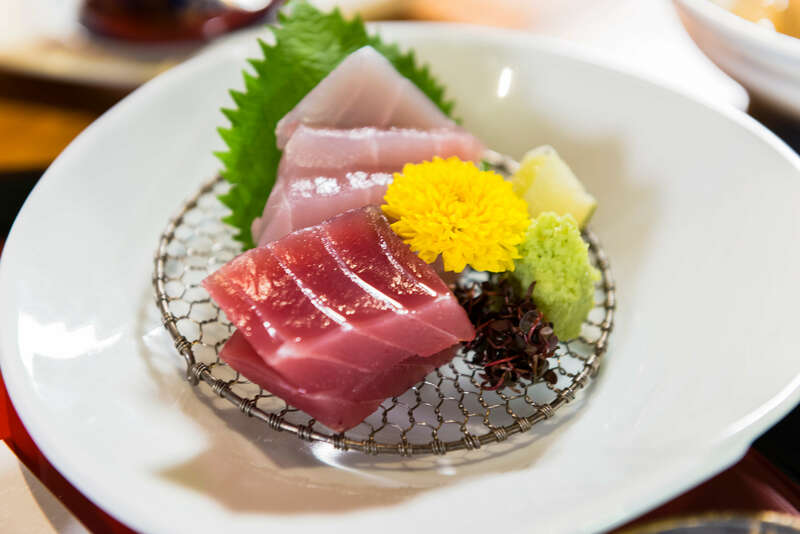 In addition, Okinawa is located in a unique area where all four species of tuna that are caught in Japan (bluefin tuna, yellowfin, bigeye, and albacore) are found, and you can enjoy seasonal tuna throughout the year. Since the tuna is caught in coastal waters, they are shipped directly to the market without being frozen, which means they retain their exceptional nutritional value and flavor, while they are also known for their tender texture. Many tuna specialty vendors line the direct sales market, Tomariyumachi, at the fishing port in Naha where fillets of tuna prepared by workers with masterly skills are available. In addition, you can eat the fresh tuna in the food court, making it a place worth visiting. 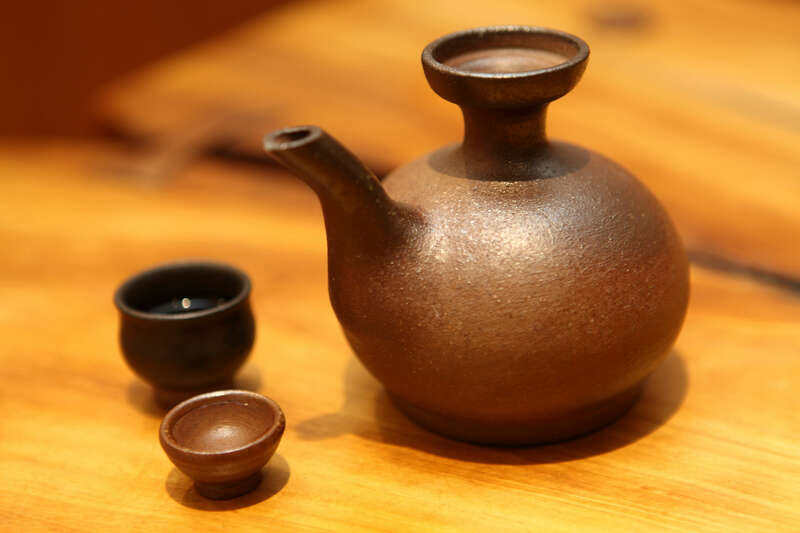 The traditional cuisine of Okinawa is based on the idea of ”food and medicine from the same source,” introduced from China, and in Okinawa, food that is good for the health is referred to as ”kusuimun (what makes medicine)” or “nuchigusui (life’s medicine),” evidently derived from that idea. The potato, which used to be the staple food, contains dietary fiber, while pork was prepared carefully in a healthy way, breaking down the fat, and kelp, which is rich in calcium and iodine, was used as a solid ingredient rather than for stock. In addition, among the ingredients used in Okinawa, there are many health foods, such as mozuku, which contains fucoidan, a substance that has anticancer properties and boosts the immune system, as well as shikwasa, which contains nobiletin, a substance that lowers blood sugar and blood pressure, and turmeric, which contains curcumin, a substance that increases liver function, all of which have likely contributed to the healthy lives among the people of Okinawa. Even the brown sugar commonly eaten as snacks contains a large amount of minerals and nutrients. Not only are there many health foods among familiar ingredients, but many of the traditional dishes offer balanced nutrition in a single dish. It is no exaggeration to say the grace of the land and the wisdom of the ancestors have supported the longevity in Okinawa.